Ecumenical prayer service – Transforming lives. Transforming society. You can find information about this service on both the main Assumptionist website and the college’s website. We wanted to post it here, too, though, because it actually demonstrates an important aspect of Assumptionist life: ecumenicism. WORCESTER, MA (January 12, 2017)—Church leaders from several Christian faith communities from the Worcester community will come together for Assumption College’s annual Ecumenical Prayer for Christian Unity. This year’s service marks the 500th anniversary of the Lutheran Reformation and focuses on the theme of “Reconciliation: The Love of Christ Impels Us.” The prayer service, planned by a committee of Catholic, Protestant and Orthodox clergy and laity from the Worcester area, will be held on Friday, Feb. 17 at 7 p.m. in the Chapel of the Holy Spirit, located at 500 Salisbury Street. The general public is welcome to attend. Worcester’s Ecumenical Prayer for Christian Unity is an annual event based on the World Council of Church’s service for the Week of Prayer for Christian Unity that is held to bring Catholics, Protestants, and Orthodox Christians together to celebrate their common baptism. Assumption College President Francesco Cesareo, Ph.D., established this annual campus event shortly after his arrival at the College in 2007. Rev. Susan Nachtigal (Pastor of Trinity Lutheran Church in Worcester) and Rev. Ronald Sibugan, A.A. (Campus Minister at Assumption College in Worcester) will lead the Service while Rev. Shandi Mowakowantanda (Pastor of Wesley United Methodist Church in Worcester) will deliver the sermon. Among the church leaders who will participate in the service are Roman Catholic Bishop Robert McManus, Greek Orthodox Metropolitan Methodios, Episcopal Bishop Douglas Fisher, and Worcester Black Clergy Alliance President Elder Esau Vance. The Augustinians of the Assumption, the founding order of Assumption College, emphasize the importance of Ecumenical conversations and Christian unity as an integral part of one’s faith. Free parking is available in the lot adjacent to the Chapel of the Holy Spirit. Founded in 1904 by the Augustinians of the Assumption in Worcester, Mass., Assumption College offers undergraduate students more than 80 majors and minors in the liberal arts, sciences, business, and professional studies; as well as master’s and continuing education degrees and professional certificate programs—each through an educational experience that grounded in the rich Catholic intellectual tradition. The curriculum enables students to gain a depth and breadth of knowledge that leads to professional success and personal fulfillment. Students—whether on the Worcester campus or at the College’s Rome, Italy, campus—become engaged participants in Assumption’s classic liberal arts education, exploring new ideas and making connections across disciplines. To prepare for the workforce, students learn cutting-edge theory and best practices, conduct innovative research, and develop excellent communication and critical-analysis skills. Assumption graduates are also known for their thoughtful citizenship and compassionate service to their community. 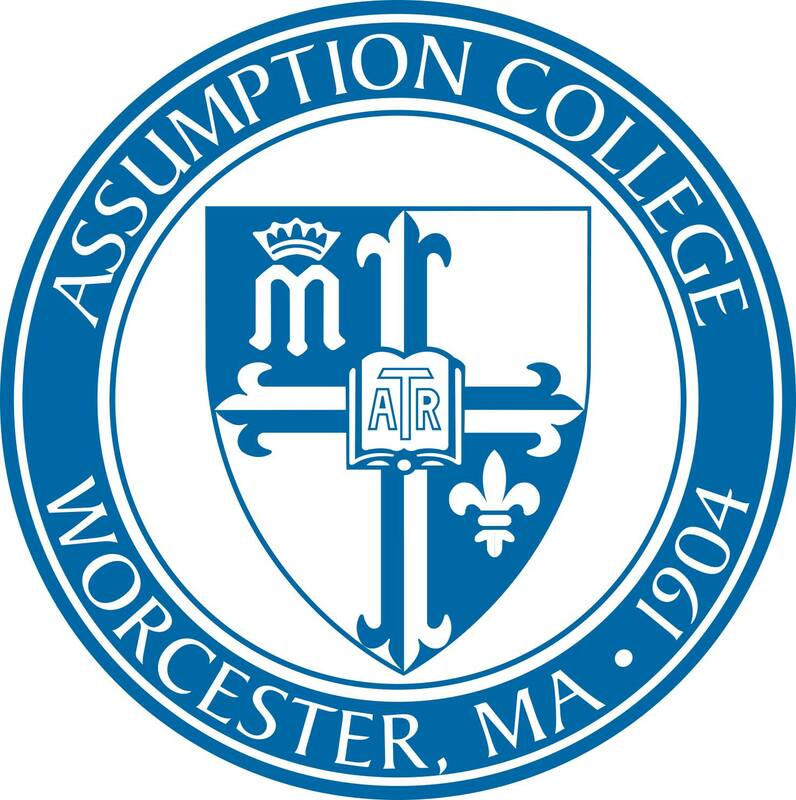 For more information about Assumption College, please visit www.assumption.edu.